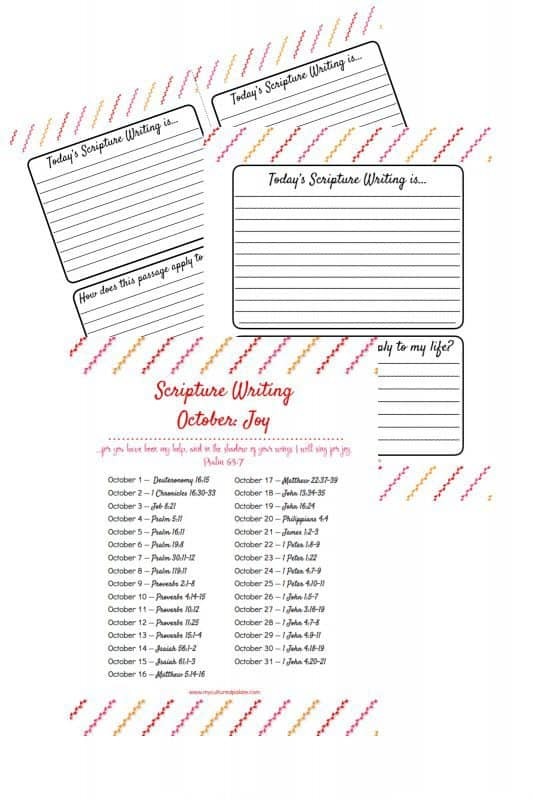 The Scripture Writing Oct. verses are here! October’s verses focus on the theme of joy. Isn’t it wonderful to know that we can have joy even in the midst of difficult circumstances? Scripture Writing has quickly become one of my favorite Bible study methods. 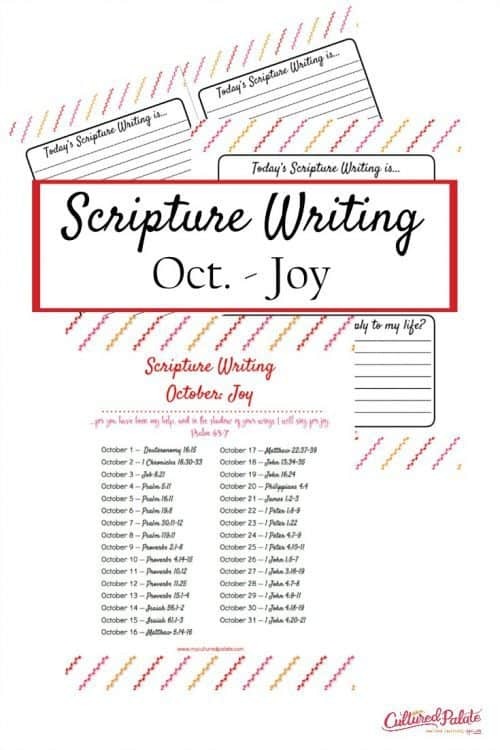 Each day has a verse or verses for you to write and they revolve around a particular theme which, for this month is joy. The verses each day take no longer than 10 minutes to finish. You can certainly spend longer if you have it but it is nice to know they can be finished in a short amount of time. Write them down either on the coordinating paper provided in the set or elsewhere. Write down how you can apply them to your life, what you have learned from them or inspiration you have received from them. Both have space for writing your thoughts about the verses and how they apply to your life. The lined half pages print two to a page so you can cut them in half and use in a smaller 3 ring binder notebook. You can see the small notebook I use here. 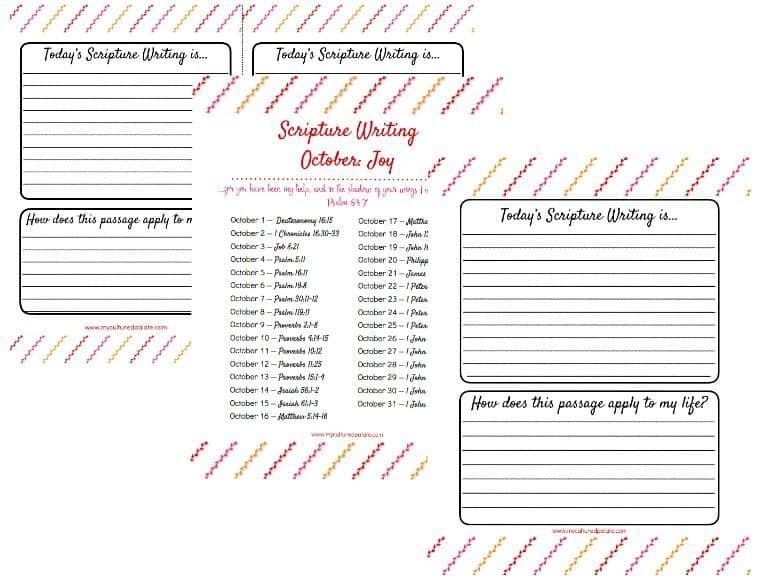 Have you been using Scripture Writing – If so, what do you like the best about it?